We’re not sure who Katie is, but wow does she have a fantastic bingo site, offering lots of amazing promotions. Place a Bet Online sometimes like to kick back and relax with a brew and some bingo, so when we discovered Katies Bingo we knew we were in for some fun. It’s not just the bright colours and incredibly cute graphics that have us buzzing about the site, its well laid out with everything you need on the main page. Katies Bingo isn’t just about show because they promise lots of gaming and with over 220 slots and games, you’ll have hours of fun ahead of you. For the pure bingo lovers, they have both 75 ball and 90 ball bingo. For those times when you’re out and about, but you can’t resist the urge of playing your favourite slots such as sugar train and Starburst; Katies Bingo is available on both desktop and mobile devices. This means that those mundane commutes to work or lunches at your desk can now have the added excitement of incredible games and hopefully a jackpot win! •	VIP Club and Loyalty Scheme. Katies Bingo offer a number of welcome bonuses to get us in the mood, so let’s go through them so you can see why this is such a good site. When you make your 1st deposit you’ll enjoy a 300% cash match bonus on a minimum £10. To give you an example of what this could mean for you, if you were to add £20 you’ll receive an extra £60 making a total of £80. In addition to the extra credit you’ll also receive 10 spins on the slots game Fluffy Too, which can be used on desktop or mobile devices. 3rd deposit, 200% cash match bonus on minimum £10. You’ll soon notice that Katie is a very sociable person and as such it’s not surprising that she’s on Facebook, Twitter, Google+ and Pinterest. Add a review on their TrustPilot page, adding your username. Katies Crew Room is a special bingo room for the regulars and can be accessed between 7 and 9pm each Wednesday. Tickets are only 5p each and winners can enjoy bonus spins and exciting prize pools. 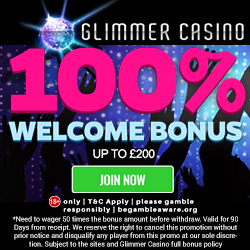 Other regular promotions include their monthly prize draw, 10k Jackpot, 2 Million Loyalty points, Spintastic and Zodiac Bingo. For further details simply head over to the promotions tab on the Katies Bingo site. Katies Bingo offer chat rooms and games, with Katie herself doing the hosting. So if you fancy meeting fellow bingo fans, then head over and check it out. If you’re already planning on telling your mates about Katies Bingo, then why not earn a little something extra? 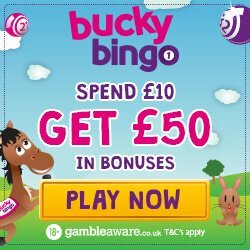 For each person you refer who deposits, you’ll receive £10 bingo bonus from the site, up to a maximum 15 referrals per month. Should you require any additional support from Katies Bingo then you can contact them via telephone or live chat. There is also an FAQ section you may wish to check, in case this has the answer you’re after. As you can tell Katies Bingo like to make their roomies feel at home and welcome them back with open arms. To help reward players loyalty they offer a VIP Club with 4 levels including Rookie, Pro, Master and Champion. The levels are reset each month and all you have to do is deposit to become a VIP member. Bonuses include bonus spins, monthly bingo and slots bonus bundles. In addition to receiving amazing bonuses through the VIP Club, you’ll also be earning loyalty points. For every 25p bingo card or every £2 on instant games, you’ll receive 1 loyalty point. 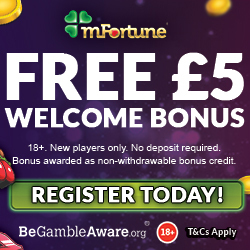 Points can be redeemed for additional bonus cash, so even if you’re losing you’re still winning! They accept the usual Credit and Debit Cards, Neteller, Paysafe Card, Entropay and Paypal. If you fancy some bingo fun in an incredibly friendly environment and of course plenty of pink and girly; who doesn’t love pink? Then head over to Katies Bingo and enjoy her generous welcome bonuses.